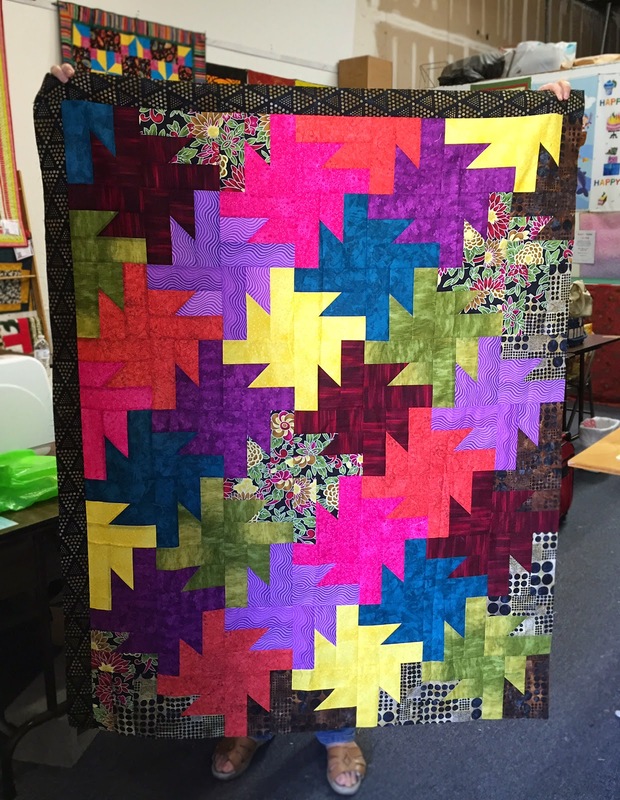 My quilting buddies and I set up a quilt challenge last November. Without consulting on color or style, we each bought a yard of 3 different fabrics, cut them in thirds, and shared them with the other two. Debbie, our most experienced quilter, chose a theme fabric and two coordinating colors (fabrics on the left); Reyna, the reigning Miss Batik World, chose three shades of batik dots; and I picked my three favorite colors - orange, purple and teal. 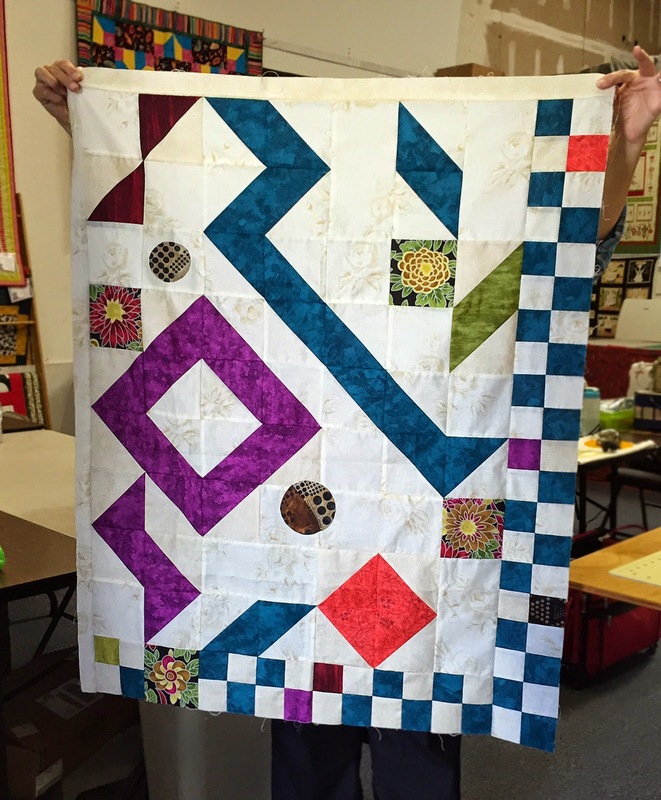 The rules said we were to make a quilt, using any pattern/design we liked; we could add up to a yard of fabric from our stash; AND we had to use some of all 9 fabrics in our finished project. Saturday was show and tell and I don't think we could have gotten three less similar tops. Mine was based on a tutorial I found online named "Lightning Zigzags". I cut my squares 5" (rather than Jen's 3.5") and my strips 3" x 6". 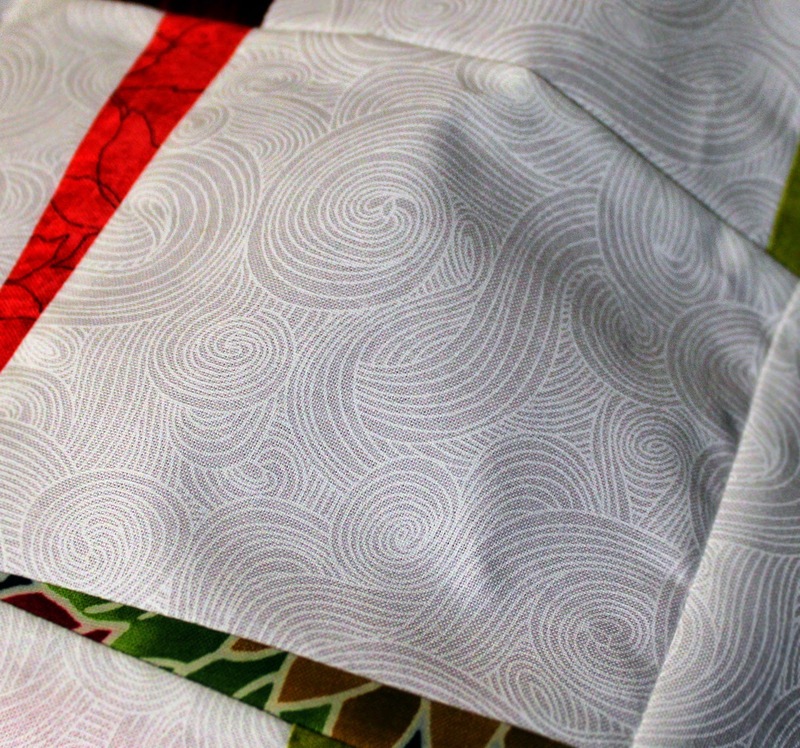 You can't see it in the picture above, but my white fabric has wind swirls - so perfect! I really, really love how this turned out. My challenge quilt is small - 40.5 x 36" - but that was all the white fabric the rules allowed me to use. Once show-and-tell concluded, I headed right back to the quilt store and bought another yard and a half. 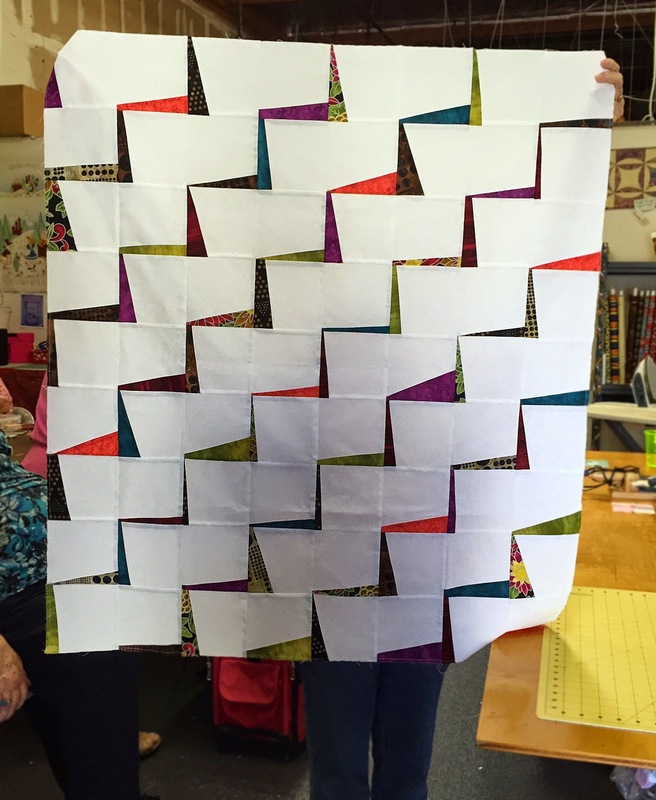 My plan is to make a bigger, more usable size that will always remind me of my crazy quilting pals. Hooray! They all look great!